In this classic book, master psychotherapist Irvin D. Yalom uncovers the mysteries, frustrations, pathos, and humor at the heart of the therapeutic encounter. With insight and sympathy, Yalom not only gives us a rare and enthralling glimpse into the personal desires and motivations of ten of his patients, but also tells his own story as he struggles to reconcile his all-too-human response with his sensibility as a psychiatrist. 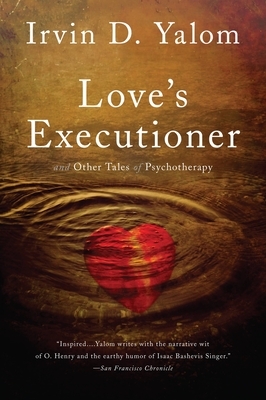 Love's Executioner has inspired hundreds of thousands of readers already, and promises to inspire generations of readers to come. Irvin D. Yalom, M.D., is an emeritus professor of psychiatry at Stanford University and a psychiatrist in San Francisco. He is the author of many books, including The Gift of Therapy, When Nietzsche Wept, Staring at the Sun, and Becoming Myself. "Like Freud, Yalom is a graceful and canny writer. The fascinating, moving, enervating, inspiring, unexpected stuff of psychotherapy is told with economy and, most surprising, with humor."